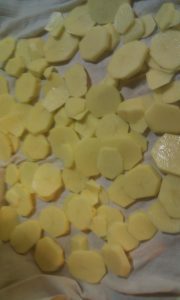 Peel large potatoes, slice them about a quarter of an inch thick, or cut them in shavings round and round, as you would peal a lemon; dry them well in a clean cloth, and fry them in lard or dripping. Take care that your fat and frying-pan are quite clean; put it on a quick fire, watch it, and as soon as the lard boils and is still, put in the slices of potatoes, and keep moving them till they are crisp; take them up and lay them to drain on a sieve; send them up with very little salt sprinkled on them. 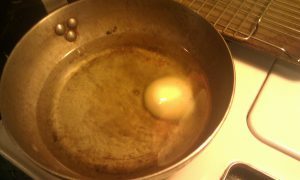 I hope with this recipe to help lay aside the French Fry/Thomas Jefferson origin myth. 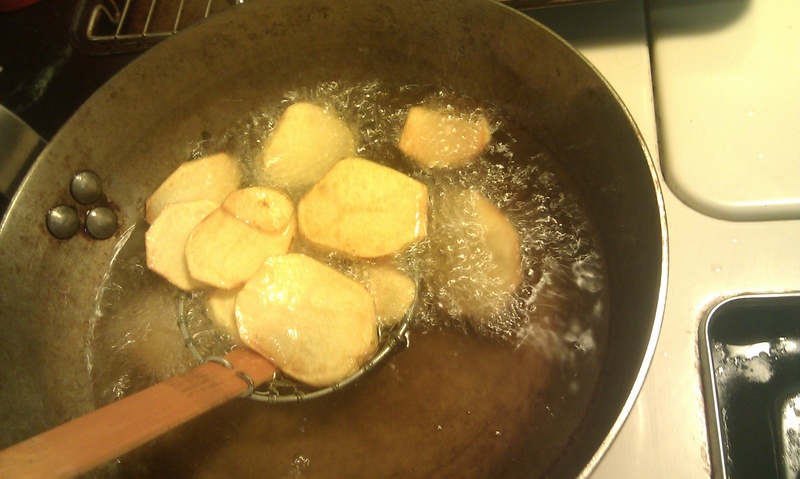 Except for not being sliced into what we think of as the long skinny rectangle French fry shape these round sliced and fried potatoes of Mary Randolph are clearly pretty darn close. She doesn’t say what kind of potatoes so I used Yukon Gold as they were what I had in my pantry. 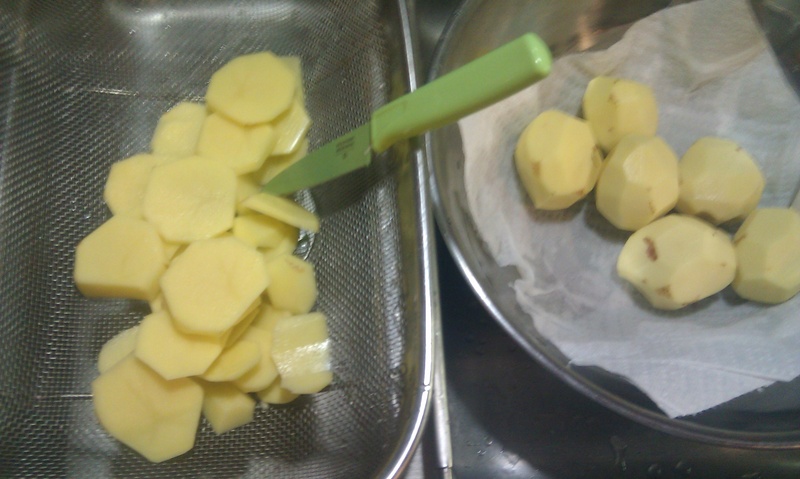 In order not to have the hot oil spatter all over it is important that you always dry the sliced potatoes in a cloth. I lay the slices on a dish towel, cover them with another one, pat them between the layers of cloth and gently roll them as pictured. This all takes less than a minute but makes all the difference in the world. There is no sense that this recipe is new or unusual in her repertory, she expects the cook to be able to ‘send them up’ with confidence. 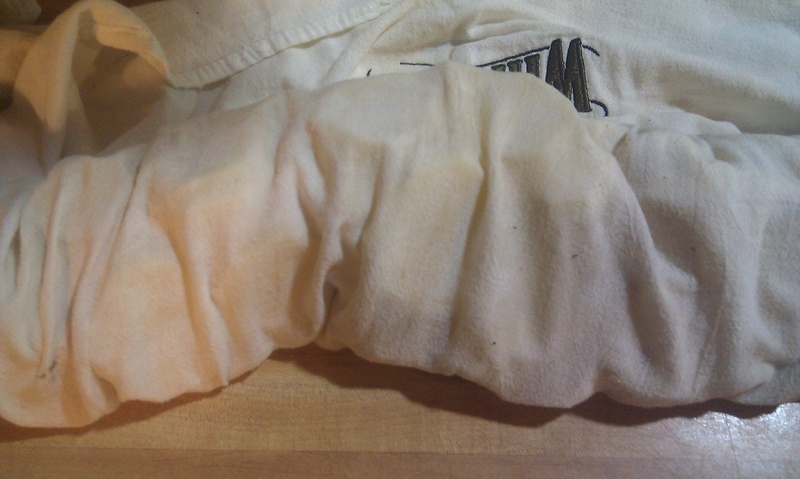 The lard (or oil) can be strained, refrigerated, or frozen in a jar and reused several times.